Well, they say all good things must come to an end. It appears that there will be no postseason this year for men’s basketball. The 76-73 loss to Trinity on Friday Feb. 9 effectively ends the season for the Bobcats, who needed a win and some help from other teams to find their way into the playoffs. Kenny Aruwajoye ‘22 shoots for the basket while defending against USM in their last game of the season. 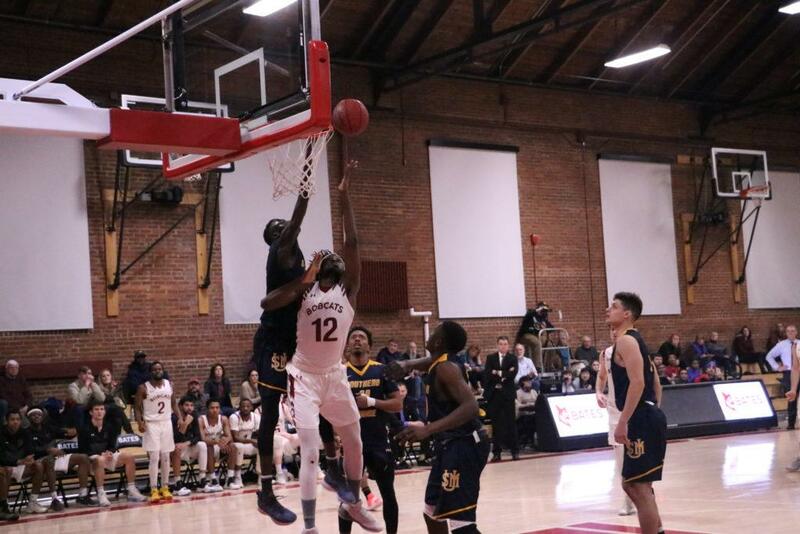 Bates trailed nearly the whole way, cutting the score to 74-73 with 24 seconds left to play before ultimately falling by three points after a desperation heave by Jeff Spellman ’20 was off line. Tom Coyne ’20 continued his productive second half of the season against the Bantams, adding 13 points and a game-high 8 assists in the loss. Nick Lynch ’19 also has been concluding his season in marvelous fashion, pouring in 20 points to account for his seventh consecutive game in double figures. This caps off a frustrating NESCAC season for our very own Bobcats, as they finish conference play on a 3-game losing streak. The reason that this season has been especially frustrating is that this wasn’t your normal 3-7 season in NESCAC basketball. Typically a team that finishes the year 3-7 in league play is out of contention for the playoffs and likely takes a couple of beatings against the top teams. This was definitely not the case for the 20182019 Bates Bobcats. They opened the NESCAC season with a blowout loss to Bowdoin–foreshadowing a potential 3-7 finish. However, the guys turned around the very next day and defeated the Colby Mules, who have had quite an impressive year for themselves and also beat Bates in a non-conference matchup before the New Year. The following weekend, Bates lost close games with both Williams and Middlebury, two of the league’s best. Wins over Tufts and Conn. College in two of the next three games kept them in the conversation for a playoff spot, but the loss against Trinity tipped the balance a little too far for this to be the year for the Bobcats. This year’s squad was very much an enigma all year long. There’s no question that Coach Furbush was hoping for a better ending, but following this team over the course of the last four months was a very strange experience from a fan’s perspective. I want to say that this was simply a down year and that Bates just didn’t have the talent to match up with the best teams in the NESCAC. However, I don’t really believe that this is the case. I believe that this team had just as much talent and athleticism as anyone, but they lacked the poise and discipline that it took to grind out a win in a close game. This is interesting because only three of the top ten guys (in terms of minutes played per game) were seniors, and only one of those seniors was in the top five. Nick Lynch ‘19 will certainly be a tough loss heading into next season, but given that the team that lost a number of close games this year and was very sophomore and junior heavy, things are looking up moving forward. 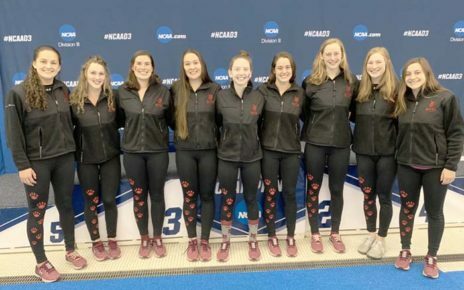 This entire team now has experienced what it’s like to play close games at the highest level in Division III, and I know that this is not the type of team that opponents would like to face. We’ll see you in 2019-2020.